Rasha joined MHBC in 2017. Prior to joining MHBC, Rasha worked in both the private and public sector. She most recently worked for a developer based in Toronto, compiling demographic, economic, and land-use research to identify the feasibility of numerous developments. Rasha has experience creating maps using ArcMap and Google Earth in support of various projects. Prior to joining the private sector, Rasha worked in the public sector at the Town of Richmond Hill, where she reviewed federal and provincial environmental legislation to identify changes relevant to municipal interest. Rasha also has international experience completing fieldwork in Hanoi, Vietnam and Nanjing, China. In Hanoi, she worked for an environmental non-profit organization developing policy recommendations for local improvement of sustainable practices. In China, she conducted spatial analysis on digitized primary datasets to assess and improve trail risk and accessibility for Mount Huangshan (also known as Yellow Mountain). Since joining MHBC, Rasha has continued her role with project co-ordination, policy review and analysis for a variety of private and public sector clients. 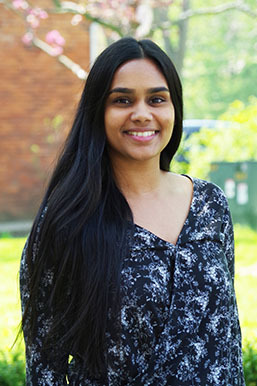 Rasha received a Bachelor of Environmental Studies in 2014 from the University of Waterloo and is presently concluding a Masters in Environmental Studies (Planning) also from the University of Waterloo. Her thesis explores the implementation of municipal incentive programs to encourage sustainable buildings. Rasha is a LEED Green Associate and a pre-candidate member with the Ontario Professional Planners Institute (OPPI).